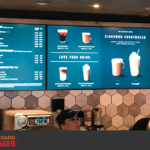 There’s a myriad of digital signage software solutions available on the market. Most of the solutions do the basics, and with varying degrees of difficulty are allowing you to: create media playlists, overlay dynamic text, schedule presentations, publishing to units over a network. It’s easy to imagine how you’d update a sign’s presentation and then publish it to a single unit, maybe even several units. But what most platforms fail to address elegantly, is easy large-scale menu content rollouts. 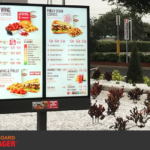 The holy grail of a scalable solution that can help a small team push new menu content on-time and without incident to thousands of signs. Imagine how you might schedule a massive menu rollout to thousands of locations, with menu variations, localized pricing, and fast corrections to the inevitable need for quick corrections. 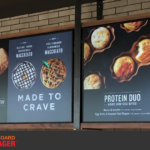 We’ve been obsessing on making Menuboard Manager® an extremely useful tool for mass menu rollouts for customers. We’ve been performing mass menu roll-outs for years and know the challenges and pain points when doing so. 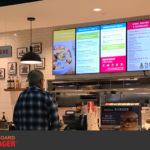 Menuboard Manager® is becoming an industry standard tool for restaurant digital signage because we are innovating in the space, solving problems for customers, and designing solutions that drive sales and create operational efficiency.